What are the different design styles & how much does a conservatory cost? Extending a family home has always been, and will continue to be, the only alternative to completely moving in order to get more living space. Be it for a growing family, or simply to add resale value, having more habitable square footage is the goal. Of course, there are different things you can do to create that valuable square footage. You can physically extend the existing structure, add a room to the loft, convert the basement or even carve out a new basement extension if you so choose. But one of the simplest and most cost effective solutions is to add a new conservatory to your property. The conservatory market is a busy one, with designs to suit anything from a small terraced house to a country manor, and budget ranges that go from cheap to outrageous. 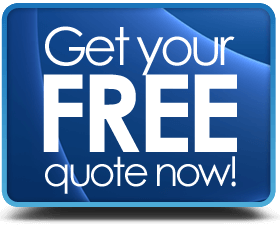 Good quality conservatories or orangeries are treated in a similar fashion as a bricks & mortar extension by valuers, in that they add real re-sale value to a property. Surveys from reputable sources, such as building societies and valuers, give figures of up to 10% as the average potential increase in resale value. With the average UK house price around £240,000 as of August 2017, that allows for a very healthy £24,000 that you could spend on a new conservatory cost and “break-even” financially. Even if you spent as much as you would gain, at the end of the day you would now be the proud owner of a very nice conservatory indeed. Not everyone shares the same tastes, and so it’s also going to be true that some types of conservatory designs will appeal more to some people than to others. 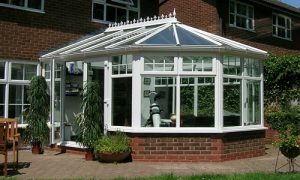 So that you can judge for yourself here are some of the more popular conservatory designs in the current marketplace. You may also want to take the time to study the types of window units or door types in the market at the same time. Click on the link below if you wish to go direct to the relevant section. The average sized lean-to conservatory is usually rectangular, but smaller versions can be square in shape. The key feature of a lean-to is the single sided sloped roof style. Most often seen with the roof sloping away from the adjoining property, the direction of the slope can be changed to suit your preferences. In fact, sloping the roof to the right, left or even back towards the property can make a dramatic difference in the look of a lean-to conservatory and be very visually appealing. Another way of fitting a rectangular lean-to conservatory is to have it extending away from the property instead of running parallel with it. The sides of the conservatory can be floor to ceiling glass, or feature low level solid sections, most often referred to as “dwarf-walls”. Frame material: Timber, UPVC or Aluminium. Colours: up to 20 in UPVC & 150 in Aluminium. Roofing: Full glass, poly-carbonate or tiled. 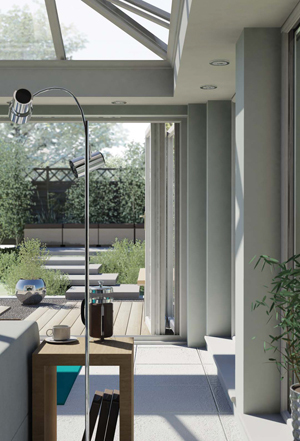 Door Options: French, inline sliding, bifold or tilt/turn. This style is regularly used in conjunction with other designs, such as the L-shape, which can “wrap around” a corner or be built into one. 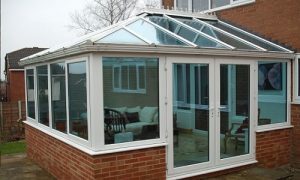 You will also see it used in T-shape, P-shape or B-shape conservatories combined with Victorian or Gable conservatories. The main difference between this style and all the others is that is has a rounded shape. The basic rounded appearance is due to the use of faceted sides. Victorian conservatories are typically 3 sided, but can go up to 5 facets or sides, for a larger example. The roof is many sided, to match the number of facets, and is quite decorative and ornamental in style. Many examples of a Victorian conservatory will feature Dwarf walling as it works well with this style of period room. Using dwarf walls is not essential as the Victorian can look just as good with full height glass walls. The most popular door to use with this type of design is the French patio door. Glazing: Double or Triple Glazed – tempered glass for full height glazing. 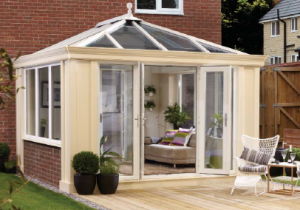 This style is the basis of the P-shape & B-shape conservatory. If you imagine an overhead view, then the straight part of the “P” would be a lean-to and the curved part would be the Victorian. A B-shape is two Victorian sections (top & bottom of the B) connected via a lean-to central section. Often where the Victorian style is used for wider rooms it can sometimes be referred to as an Elizabethan conservatory. This conservatory design is most often seen in a square shape, although sometimes you will see rectangular shapes used for wider examples. Edwardian and Regency conservatories are almost indistinguishable; in that they are both fitted with pitched or hipped roofing and use a lot of simple lines. Even though they are lot less ornate than Victorian conservatories, you can see them with a fancy roof ridge line. The original development of Edwardian conservatories deliberately moved away from the “fussy & fancy” Victorian style and the idea was to keep them simple and allow lots of natural light to come in. The ever present dwarf walls can be used if you so choose, but this design lends itself well to full height glass walls. You could also look into making use of integral window conservatory blinds for the glazed window panels or glass roofing. Roofing: Double Glazed, poly-carbonate, tiles or slates. Door Options: French, bifold or sliding patio door styles. Glazing: Double or Triple Glazed with astragal bars or leaded lights optional. As mentioned above, a variation of this style is known as a Regency conservatory. You can also see elements of this style used in T-shape conservatories. How much does an Edwardian Conservatory Cost? The typical appearance of an orangery will be one of using a high proportion of solid walls that feature pillars and columns. The meeting point between the roofline and sides will also be very grand with hidden gutters. With regards to the roof itself, primarily it will be flat with a raised centre glass lantern – sometimes two or more glass lanterns can be used for larger orangeries. Overall styling is a matter of personal choice, with many owners going along the lines of Georgian or Victorian visual clues, such as ornate fascia and sashes with mullions. 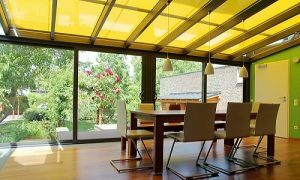 There is, however, also a trend to shift towards more contemporary orangery styling that is more “minimal” and far less ornamental which makes great use of Bifolding doors. Colours: Related to the frame material – extended use of solid walls heavily influences the overall colour theme. Roofing: Flat with double glazed raised lantern sections – options for pitched if required. Door Options: Choice of French Style or full width Bifolding doors. Glazing: Dependent upon Energy rating up to A+ windows or doors. 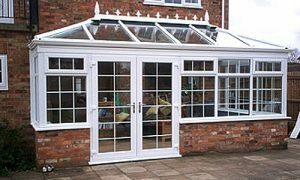 Orangeries are characterised by the overall aesthetic which is to have a lot of solid sections combined with a flat roof. Styling clues can be taken from Victorian, Georgian, Edwardian conservatory designs. Can be attached to the main home or independently free standing structures. A Loggia would be described in a dictionary as “a gallery or room with one or more open sides” but originally would be used on an upper floor. However, the name has now been linked with a style of conservatory which has “openness” as its’ key feature. Almost orangery-like, the Loggia conservatory has full length glass sides and prominent columns that are placed in such a way as to interfere as little as possible with the external view. Loggia conservatries are almost a hybrid of an orangery and a conservatory taking some of the best aspect of both designs and combining them into a visually striking home extension. This design works extremely well with Bifolding doors which are used more as a “sliding glass wall” than as a door – once fully opened the bifold configuration really opens up the room to the outside. Frame Types: Steel reinforced uPVC, Engineered timber or aluminium. Colours: Timber factory painted to your choice, 10+ upvc options & 100+ options for aluminium. Roofing: Typically double hipped, but can be gable fronted or even a lantern roof. Door Options: Full width Bifolding doors are well suited to this design, but you could fit French or sliding bypass doors. Loggia are supposed to offer a lot of clear views so the sides are usually full length glass. T-shape designs or gable ended roofing designs are some of the variations that you can see in the market. 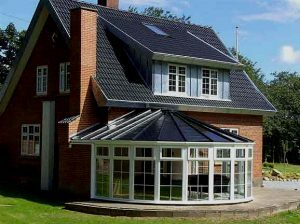 These conservatory designs are those which span one or more type of style or one which has been built to suit the clients’ demands. Good examples of “cross-styling” would be the P-shape, T-shape, L-shape or B-shaped conservatories. With the P-shape it is usually a combination of Victorian & lean-to, as is the B-shape. An L-shaped conservatory can “wrap-around” an external corner of a property or even “into” a corner area. A lot of L-shape conservatories use the lean-to as the base design. However, a true bespoke conservatory, in our humble opinion, is one that looks like no other and is unique to the location where it is built, and in this regard, the only limitations are your budget & you imagination. Frame Types: As with others the typical materials in use would be uPVC, engineered timber, hardwood or aluminium. Roofing: As per design or client specification. Door Options: As per design or client specification. Glazing: All glazed areas can be double or triple glazed units up to A+ WER. 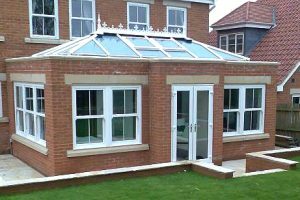 As mentioned above, we include P, T, L and B-shaped conservatories in this category. Another of the Period style of conservatory, Georgian conservatories are primarily square (or even cubic) in shape. Much in the same way as the Victorian style, a Georgian conservatory will feature fancy ridge lines, and a lot of ornamental finishing’s around the roof area & window lines. You will also see a lot of window mullions or “Georgian bars” used as decorative elements within the glazed areas. Roofing is vaulted and high, giving a lot of internal headroom. Once again dwarf walls feature heavily in this design which is one that is deliberately decorative and almost the opposite of Edwardian simplicity. Frame Types: Engineered timber, Hardwood UPVC Conservatories or Aluminium. Colours: Extended range of foled & wood-grain textured uPVC. Roofing: Double Glazed Panels, poly-carbonate sheeting, concrete tile, quarried or synthetic slate. Door Options: French Doors, Bifold or inline sliding conservatory door options. Glazing: Double or Triple Glazed with astragal bars or leaded panes. How much does a Georgian Conservatory Cost? Sun rooms and garden rooms can be used for a multitude of different things, from a simple place to sit & enjoy the garden to sophisticated Lodges with all the mod-cons. Not quite the same thing as a conservatory or orangery, garden rooms are independent, free-standing structures that are suited to both social or business use. 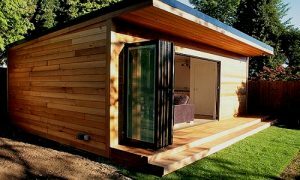 Garden rooms are used for home offices, study rooms, music rooms or studio’s, as places to exercise and as places to relax. Lots of contemporary garden room designs are “modular” or pre-fabricated in that they can be installed within a day or 2. However, the more complex the job, the longer it will take. A simple sun room ca be done in a day, but a full-blown “granny-annexe” with heat, light, power, water etc. will need a decent time frame to complete. Larger garden rooms may also require planning permission to be built. How much do Garden Rooms Cost? 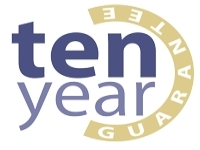 Have your windows fitted by experts – look for these trade accreditation logo’s.